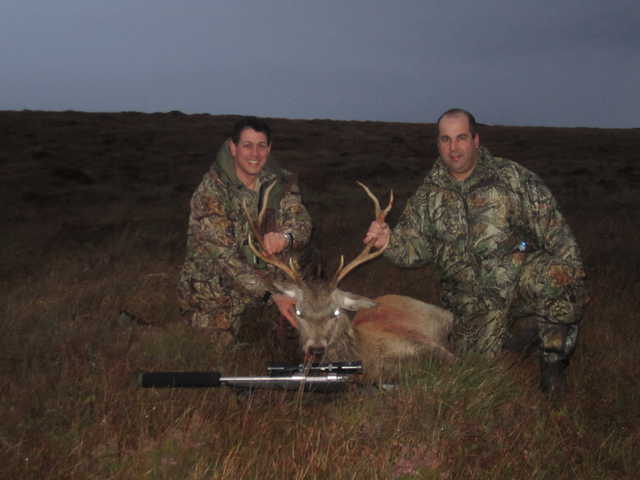 2 close friends, my cousin and I headed to Scotland for a Scottish Red Stag hunt in September of 2011. 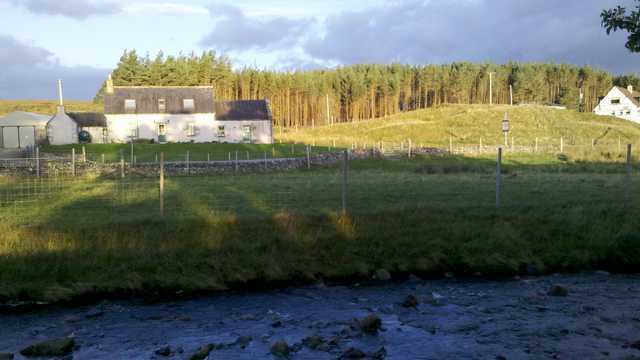 It was late September of 2011 and My cousin, 2 friends and I headed to Scotland for a Scottish Red Stag hunt. The day we arrived we had a nice lunch and headed to a makeshift range to show we were proficient with a rifle enough to continue the hunt. 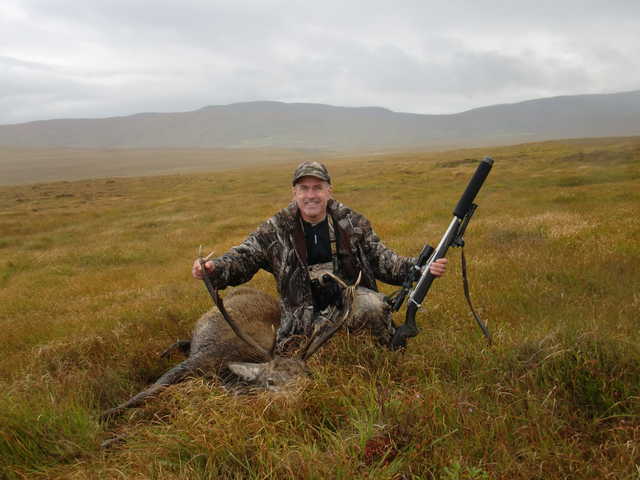 As we were all experienced hunters and practiced frequently we all proved our marksmanship and the hunt continued. 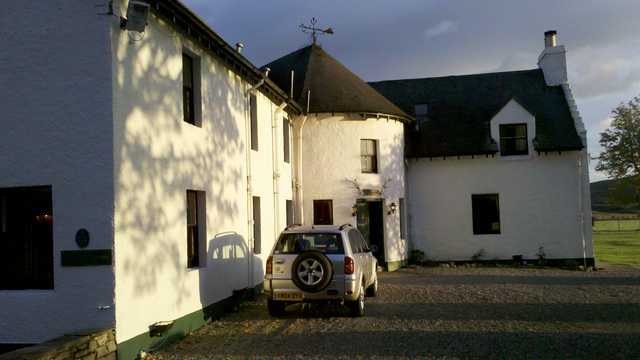 We finished checking in at the beautiful Altnaharra hotel in the Scottish highlands and embarked on the first day of the hunt. 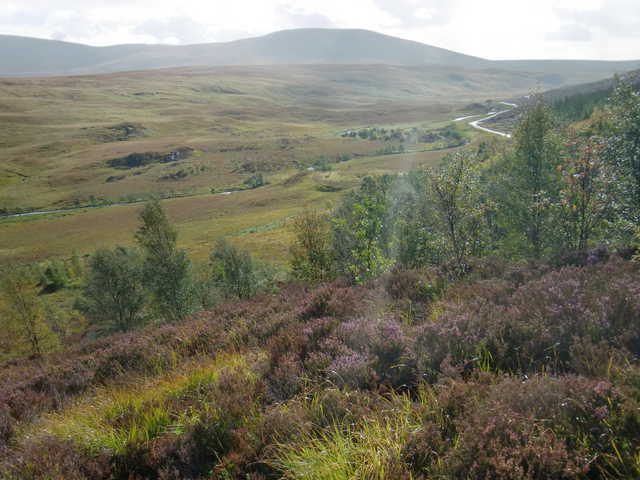 There was a bit of a mix up and there was only one stalker (what they call guides in Scotland) instead of the 2 we had expected but, we headed out anyway as a group. 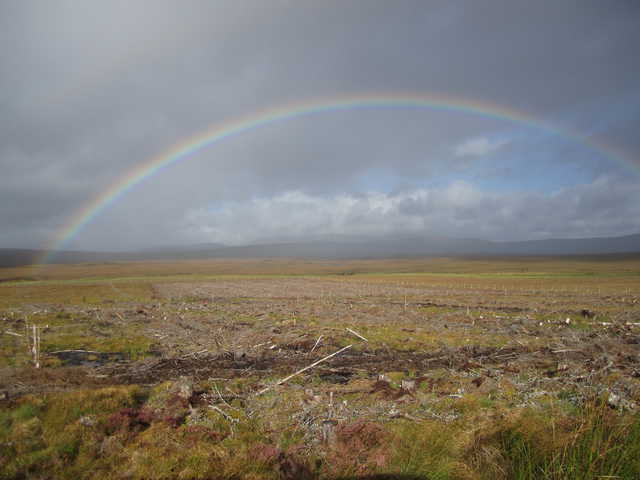 The area we were hunting was vast and beautiful. There were plenty of deer to be found however we weren't able to stalk within range the first day. We headed back to the hotel for a fine meal and an evening of enjoying the quaint whiskey bar at the hotel. As we headed back we discussed the next days hunt with the stalker. His initial plan was to start the hunt after we had a proper breakfast and assured us the second stalker would be there. As we were on a tight schedule, I asked him if he wouldn't mind meeting my cousin and me before first light. My plan was that if we got out during the magic morning hours, we may just be able to get a couple stags before breakfast and our two friends could go with a one on one with the stalkers. He agreed to this plan and met us in the morning. Our plan was working! 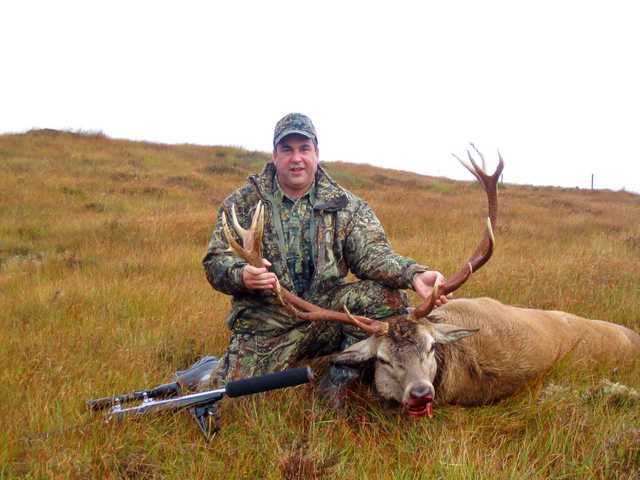 We headed out to the first area and were able to locate a Stag for my cousin. He and the stalker maneuvered into position and he did the job with one shot. You'll notice the device on the end of the rifle. It's called a sound moderator and is legal and very common in Scotland. We used the stalker's rifle as it was easier than bringing our own. We still had some time before breakfast and headed to the next area. We headed to a wooded section and my cousin headed for the bottom while the stalker and I headed to the top. The plan was for him to push the patch of woods to see if something would come out. Sure enough when we go 2/3 of the way up the hill, out came a beautiful stag. Unfortunately he was in direct line with where my cousin would be coming from. With not knowing his exact location, I would not take the shot. The stag disappeared and we headed up to top of the hill. As we got there, the stag showed himself again! This time he was on the move with a clear view of what was behind him. The stalker and I got into position and when I was ready, the stalker made a call that caused the magnificent stag to pause just long enough for me to make the shot at approximately 250 yards. The stag bucked and the stalker yelled for me to chamber another round. I told him I was one step ahead of him and was already loaded but, we wouldn't be needing it. The .270 did it's job and anchored the stag. It was even more impressive when we got up to it. He had fourteen points and later officially got an SCI score of 221 7/8. There we were two stags down and still had time to make it to breakfast. We headed back to the hotel and met up with our friends who were anxiously awaiting the start of their hunt. They were thrilled to see that we had been successful. The other stalker was also there so, we all had breakfast and the other two parties headed out to find their stags. 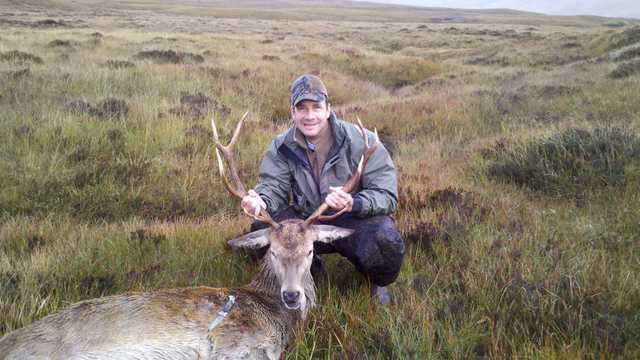 It didn't take long and my one friend and his stalker found a stag. 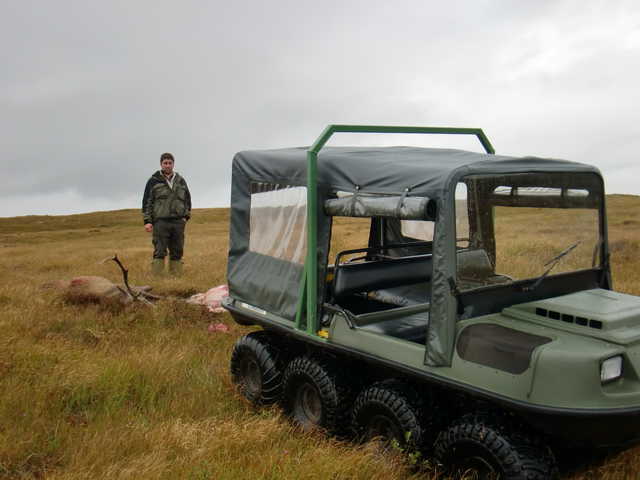 They also carefully got into position and were able to take the stag with one shot. Not long after that, the other guy was able to do the same. 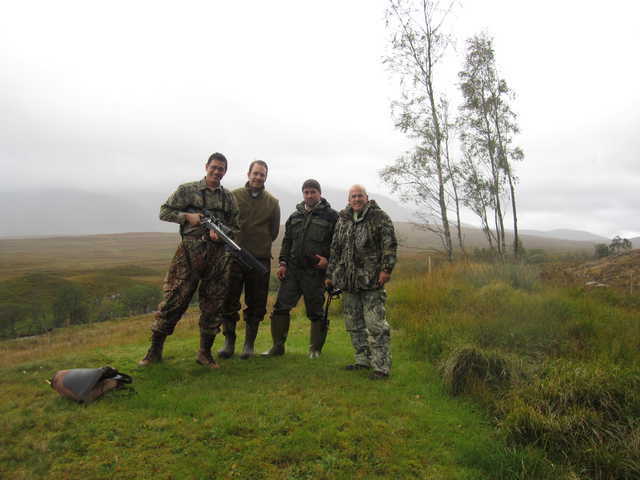 There we were, four guys from the US in the Scottish highlands with four stags down in one day before 3:00 PM. Argo's were used to retrieve the downed game and they were brought to the butcher. Unfortunately we weren't able to keep the meat. 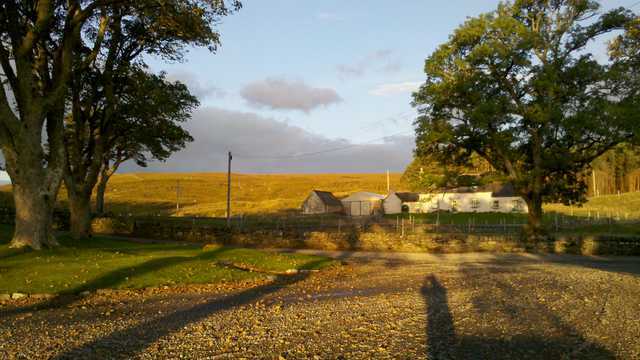 The way it works on the estates is they keep the meat which is sold to different customers in Europe. We were able to keep the trophy. The next morning we headed to the local taxidermist. 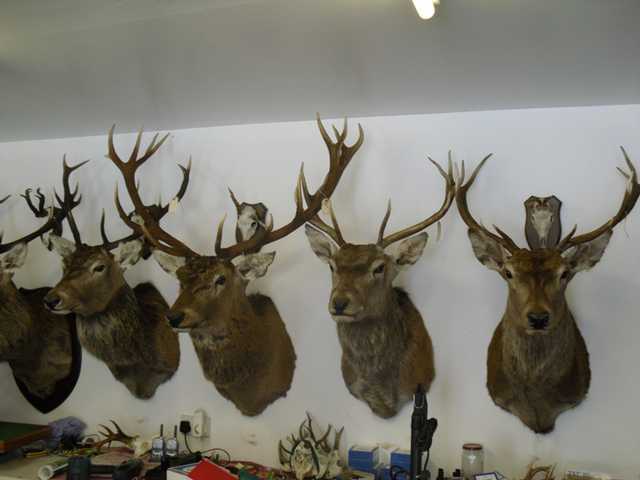 He did a fine job mounting the four stag which were crated and shipped to us a little less than a year later. We headed back to Glasgow for our flight the next day and stopped along the way for some shopping and fish and chips. And so ended one of the greatest hunts I was ever on.